With his comfortable blend of Scriptural knowledge and love for people, Pastor Donald Cole addresses on of the most troubling concerns many Christians have: assurance of their eternal salvation. By exploring the tenets of the Christian faith, Pastor Cole gives those who already believe confidence in their position in Christ. This trusted Bible teacher never shrinks from tackling difficult texts, such as those that seem to suggest salvation can be lost, and he explains why a saved person still sins. In this freshened edition of his classic book, Donald Cole's clear teaching and compassionate voice come through in response to one of life's most important questions. 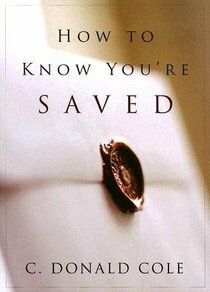 About "How to Know You're Saved"